War has been both an agent of destruction and a catalyst for innovation. These two, at first sight contradictory, yet mutually constitutive outcomes of war-waging are particularly pronounced in twentieth-century Asia. While 1945 marked the beginning of peaceful recovery for Europe, military conflicts continued to play a critical role in the historical development of this part of the world. In essence, all wars in twentieth-century Asia stemmed from the political vacuum that developed after the fall of the Japanese Wartime Empire, intricately connecting one region with another. Yet, they have had often very diverse consequences, shattering the homes of some and bringing about affluence to others. Disarray of war may halt economic activities and render many aspects of life insignificant. The need for food, however, cannot be ignored and the social action that it requires continues in all circumstances. 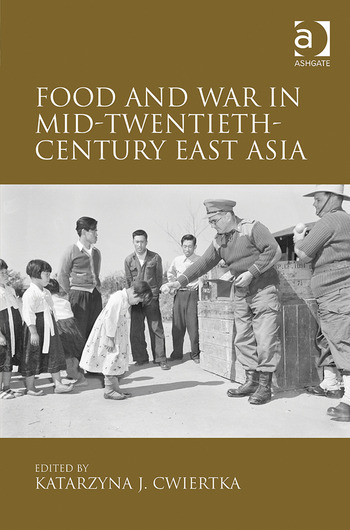 This book documents the effects of war on the lives of ordinary people through the investigation of a variety of connections that developed between war-waging and the production, distribution, preparation and consumption of food throughout Asia since the 1930s. The topics addressed range from issues at stake at the time of the conflicts, such as provisioning the troops and food rationing and food relief for civilians, to long-term, often surprising consequences of war waging and wartime mobilization of resources on the food systems, diets, and tastes of the societies involved. The main argument of this volume is that war has not been a mere disruption, but rather a central force in the social and cultural trajectories of twentieth-century Asia. Due to its close connection with human nourishment and comfort, food stands central in the life of the individual. On the other hand, owing to its connection with profit and power, food plays a critical role in the social and economic organization of a society. What happens to food and eating is, therefore, an important index of change, a privileged basis for the exploration of historical processes. Contents: Introduction, Katarzyna J. Cwiertka; Part I Supplying Nutrition: From riots to relief: rice, local government and charities in occupied Central China, Toby Lincoln; Food rationing and the black market in wartime Korea, Kyoung-Hee Park; A dearth of animal protein: reforming nutrition in occupied Japan (1945-1952), Christopher Aldous; From feeding the army to nourishing the people: the impact of wartime mobilization and institutions on grain supply in post-1949 Su’nan and Taiwan, Julia C. Strauss; Feeding the UN troops in the Korean War (1950-1953), Katarzyna J. Cwiertka. Part II The Complexity of Eating: An insatiable parasite: eating and drinking in WWII armies of the Asia-Pacific theatre (1937-1945), Aaron William Moore; The ’food problem’ of evacuated children in wartime Japan, 1944-1945, Samuel Hideo Yamashita; A ’great East Asian meal’ in post-colonial Seoul, Autumn 1945, Lori Watt; Learning about radioactive contamination of food: lessons from Hiroshima and US nuclear testing in the Marshall Islands, Nancy J. Pollock; Index. Katarzyna J. Cwiertka is Chair and Professor of Modern Japan Studies at Leiden University, the Netherlands.